Sitting at the middle is the Executive Director, Marine and Operations, (NPA) Dr. Seconte Huttins Davies, to his immediate right is the Asst. 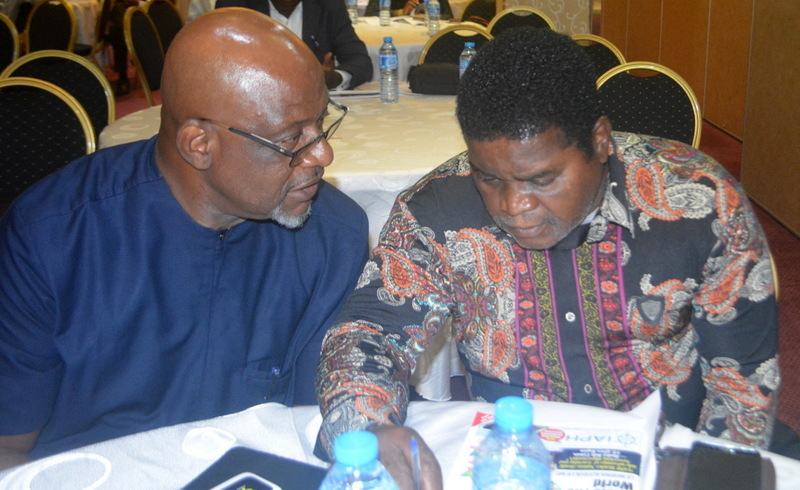 General Manager, Operations, (NPA) Babatunde Esezobor Longe, while to his left is the Asst. General Manager, Tariff & Billing (NPA), Mrs. Eunice Ezeoke at the event. 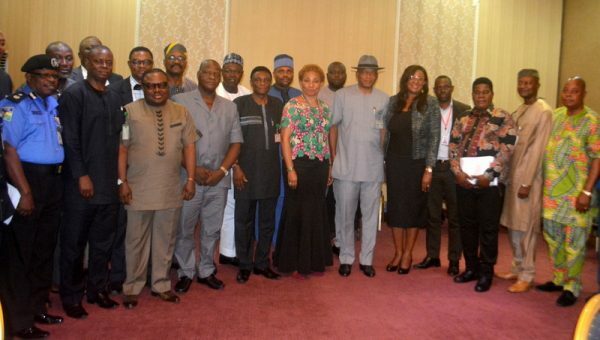 Cross section of the Participants at the Stakeholders Engagement with the Nigerian Ports Authority on the implementation of the Stevedoring regulation 2014 with the Executive Director, Marine and Operations, (NPA) Dr. Seconte Huttins Davies who is standing 6th from the right. Former Director General, NIMASA, Temisan Omatseye and the Public Relations Officer, Ugborodo Community, Delta State, Michael Okoturo at the event.